We need your voice - Bishop Search updates and opportunities! Thank you for following and praying about the search for the Episcopal Church in Minnesota’s next bishop. Check out the newly re-launched website at mnbishopsearch.org . Be sure to look at the timeline for the search process , ways to get involved , and the Spirit of the North video . Beginning next week, look for a survey we would like everyone to take and additional content to share with your congregation or organization. And please send us 1-3 photos (no more, please) that best depict your mission, or worship, or your faith community having fun. Click here to upload those photos . Make every effort to attend at least one listening session to contribute your ideas for what’s needed in our next bishop, describing the calling the next leader should have. Based on that feedback, and God’s guidance, a Profile of the leader we seek will be developed and widely shared. Lastly, we ask for your patience and prayers. We’re a group of volunteers doing all we can to provide the Standing Committee with an excellent slate of candidates for its review and finalization. May the Holy Spirit attend this work, and you also. P.S. 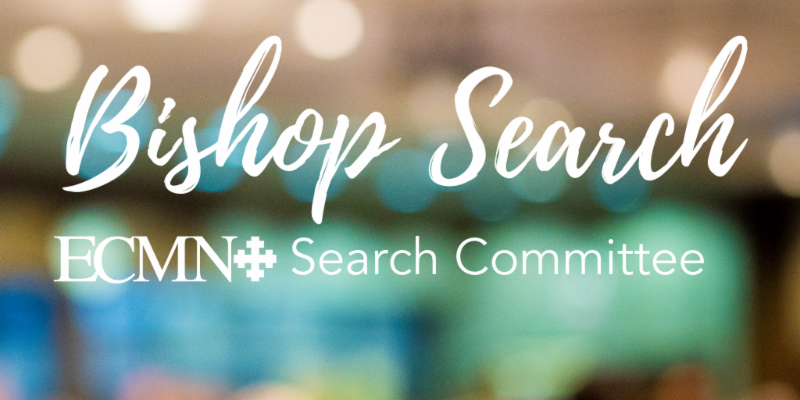 To clear up a misconception, if you are already receiving ECMN emails, you do not need to sign-up to receive Bishop Search Updates . They will be sent to you automatically, but please encourage members who are not receiving ECMN communications today, to sign up to receive updates.